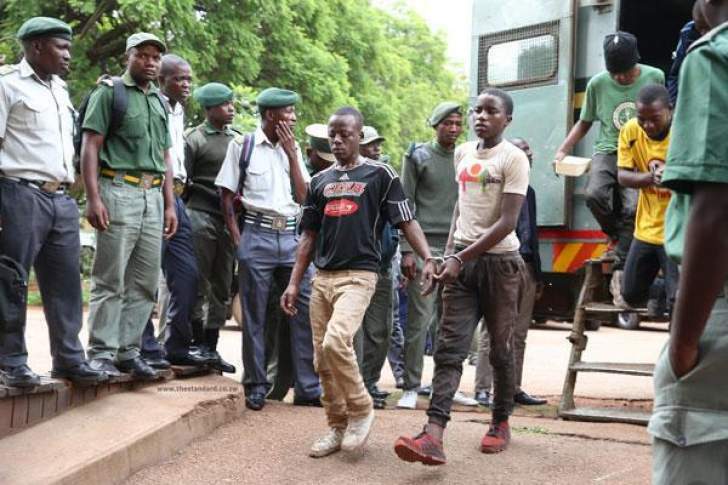 THE past few days have seen a record more than 800 accused persons arrested countrywide in a State security dragnet following the deadly protests which occurred last week, leaving at least 12 people dead and a trail of destruction in its wake. While State security agents must be commended for reacting swiftly to restore sanity, it is the way they are going about identifying and arresting suspected criminals involved in acts of violence that is a cause for concern. It is quite disturbing that the accused are already being treated as convicts, with their constitutional rights trampled upon with reckless abandon, as State security agents apply extra-judicial powers on them. There are also reports that accused persons are being tortured by security agents, with some of the suspects taken to court limping — a sure sign of use of brute force. It's undeniable that the majority of the suspects were not picked from the scene of violence, but fished out of their homes, while others were randomly arrested as they were going about their private business. Worse still, some could have just been nabbed because of their perceived links to opposition politics. We, therefore, believe all these 800 or so "criminals" are innocent until proven guilty by a court of law. Before then and even after conviction, they still deserve to be treated with dignity in line with the Constitution's Bill of Rights. Last week when the arrests started, several human rights lawyers complained over ill-treatment of their clients at the hands of security agents. The ill-treatment ranged from physical harm, denial of medical treatment, food and legal representation. It is also of concern that the trials are being fast-tracked, with the accused not given ample time to prepare their defence or seek legal representation in line with provisions of the Constitution. Still, others are being denied bail on flimsy grounds. The judiciary must remain neutral and resist being pushed to pursue Zanu PF and the State's myopic agenda, which, in most cases, is bent on stifling dissent and overriding certain provisions of the Constitution.